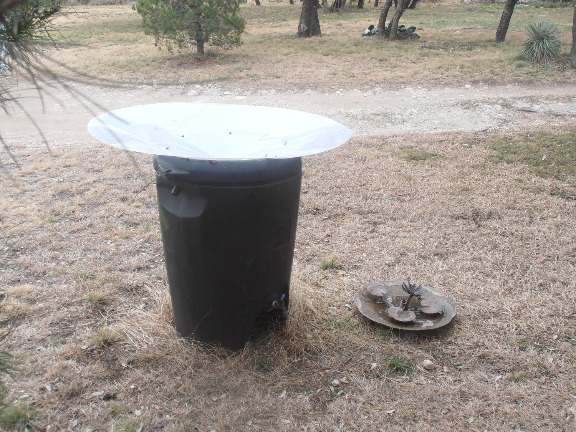 RainSaucer - Is my Rainbarrel compatible with a RainSaucer? 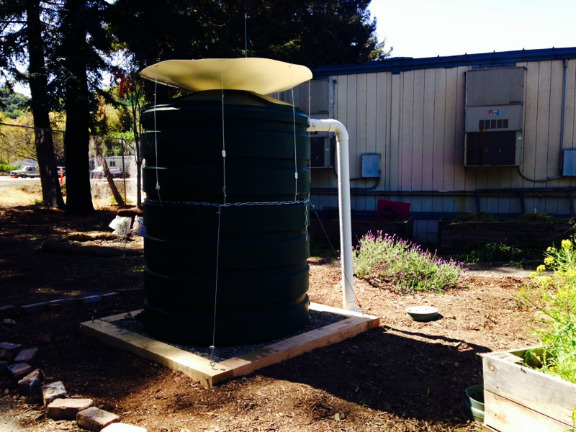 With a little creativity, a RainSaucer can be made to work with just about any rain barrel. As long as the lid is removable, a bulkhead fitting will get you the 2" hole you need to install the 48" and 84" sizes. If the lid is removable and completely circular then a 59" unit can also be applied. However, if the lid is not removable, then the barrel must have a 2" NPS hole. If not, the only solution at that point is to install the RainSaucer in a different tank and daisy chain the bottom holes of the tanks together. Below is an example. Instead of daisy chaining, one can also do a simple overflow from one tank to the next. 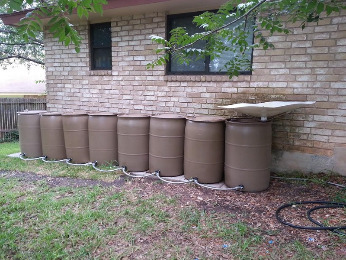 For the 48" and 84": buy a closed 55 gallon drum or 270 gallon IBC Tote on Craig's list and use our DIY Kit to make your own rain barrel. When you buy, make sure the drum/tank has a standard 2" NPS holes. Or bring your RainSaucer part kit with you when you buy, and try the adapter. If it threads in, you're good. Costco and Sam's Club sell 55 gallon drums in new condition. 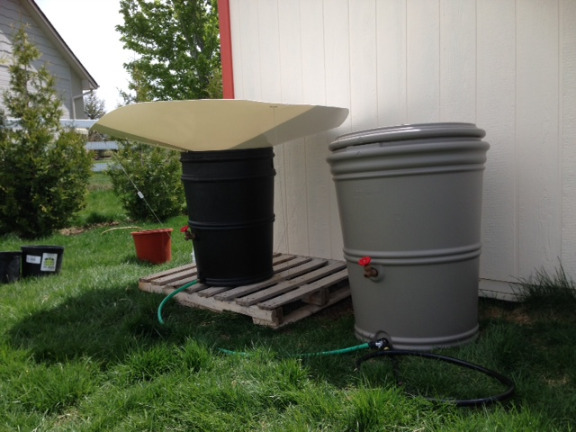 For the 59": buy a BRUTE or Roughneck trash can at your local hardware store and again, use our DIY Kit to make your own rain barrel.